Now Available! 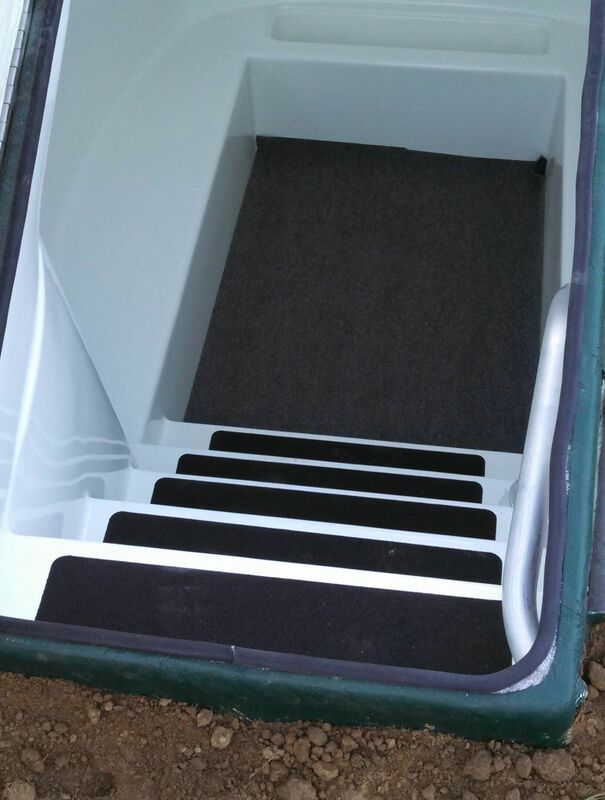 Our Lifesaver “LS-8 HILLSIDE” Underground Storm Shelter is modeled after our very popular Lifesaver LS-8 in an easier to enter size. The door is angled on a slant (as opposed to level with the ground) which reduces the stairway by an entire step as well. 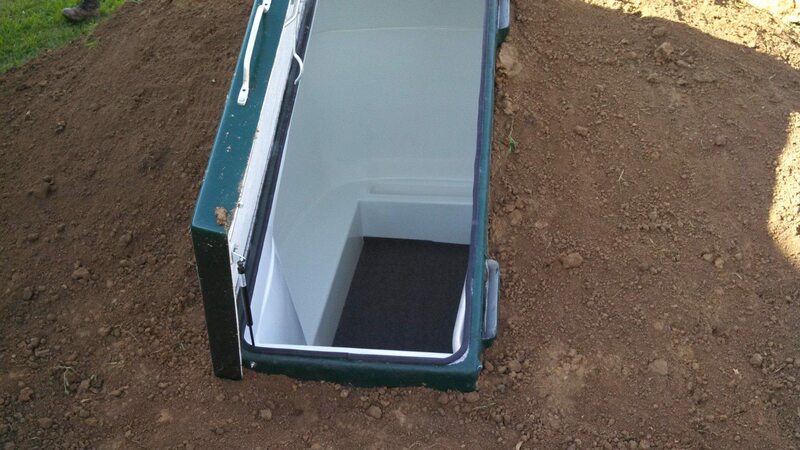 The shelter will protrude a foot or two out of the ground, making it perfect for installation into the side of a hill. No hill? 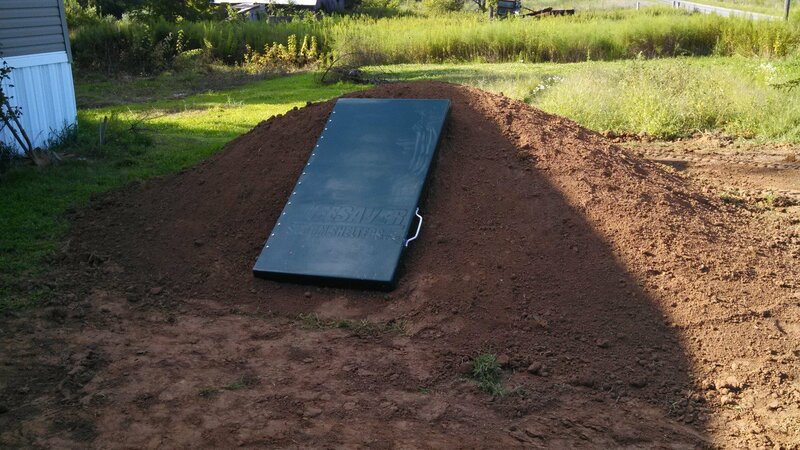 No problem – we can “feather out” the excess dirt around the shelter to cover the top of the Lifesaver LS-8 Hillside underground storm shelter. 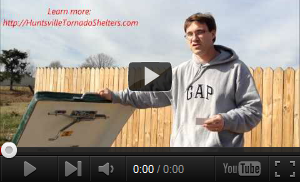 LIFESAVER LS-8 HILLSIDE STORM SHELTER INSIDE DIMENSIONS ARE 6’6″ LONG X 5’6″ WIDE X 6’2″ HIGH. Have a hillside area aprox 3ft height just outside of den door next to driveway. Very interested in hillside model. Live in Hueytown, AL. Would like someone to inspect location for best selection of model to order and install.